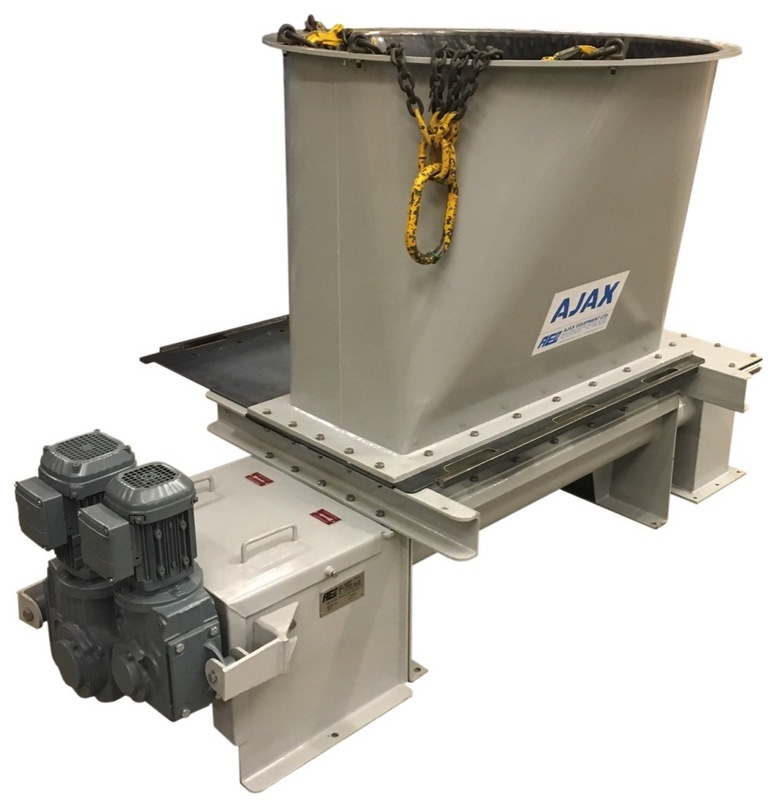 Bolton, United Kingdom – Solids handling specialist, Ajax Equipment, has supplied leading process solutions provider with a hopper and twin screw feeder for powder handling. The company supplies equipment and process solutions for the safe handling of powder and granular materials as well as liquids and gases. The hopper and twin screw feeder form a discharge system to deliver anhydrous sodium sulphate from a 40 tonne silo. To efficiently deliver anhydrous sodium sulphate the feeder features a larger screw supplying a bulk fill line and a smaller screw for batch supply. The hopper’s flow friendly shape ensures the area of the twin screw feeder required is filled while the feeder’s screws and variable pitch flights control the powder flow onwards. “The design of the powder handling system ensures effective and measured material transfer as well as preserving powder condition for the next stage of the production process,” said Eddie McGee, managing director, Ajax Equipment.